Human Rights Watch stated that United Nations and Democratic Republic of the Congo (DR Congo/DRC) Army need to take joint measures to effectively stop the weekly attacks in eastern parts of the African country. MOSCOW, December 16 (Sputnik) — United Nations and Democratic Republic of the Congo (DR Congo/DRC) Army need to take effective measures together to stop the weekly attacks in eastern parts of the African country which have claimed more than 180 civilian lives since October, Human Rights Watch (HRW) said in official statement Tuesday. "UN and Congolese forces need to urgently coordinate their efforts and improve protection of civilians in [city in north eastern DR Congo] Beni," Ida Sawyer, senior Congo researcher at HRW, was quoted as saying in the statement. Rebel fighters have killed at least 184 civilians and wounded hundreds of others between October 5 and December 6 during attacks on villages in the Beni territory of DR Congo, HRW reported. The actual number of victims is likely to be significantly higher, as Congolese human rights activists confirmed more than 230 people killed in the Beni district since the beginning of October. "Large-scale rebel attacks occurring nearly weekly have terrorized residents of Beni and left them uncertain where to seek safety," Sawyer added. HRW stresses a lack of coordination between the Congolese army and the United Nations Organization Stabilization Mission in the DRC (MONUSCO). Survivors told HRW that the local army either delays their response to the attacks or provides no response at all. HRW says that the local army still resists coordination with UN officials and blocks MONUSCO troop access to attacked areas. Though MONUSCO has noticeably increased its presence in the Beni area in recent months, there has been no reduction in hostilities. UN and local army officials accuse the rebels of belonging to the Allied Democratic Forces (ADF), a Uganda-based Islamist rebel group with splinter cells acting in the Beni territory since 1996. The ADF was purportedly destroyed by the Uganda Peoples Defense Force in 2004 and surviving members escaped to eastern DRC. 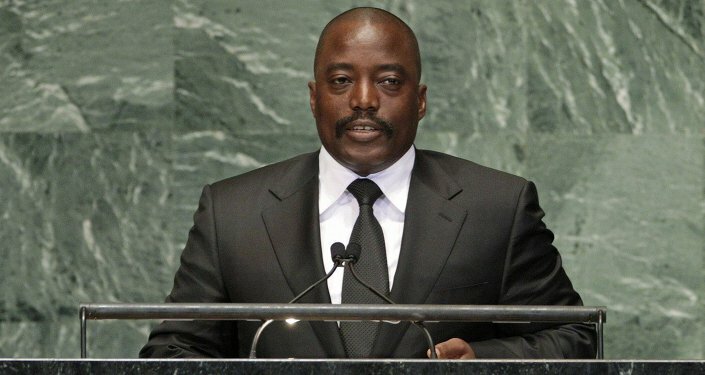 On Monday DRC's President Joseph Kabila urged the UN to reduce the size of the MONUSCO contingent in the Congo territory, claiming that the situation in the country had improved. A peacekeeping operation was established in DR Congo in 1999 to observe the ceasefire between DRC and five regional African States. The UN peacekeeping presence was strengthened in 2010 to almost 20,000 personnel.